Calcite is a calcium carbonate mineral, widely distributed. Calcite is an important industrial and building material. After grinding into fine powder, it can be widely used in chemical industry, metallurgy solvent, cement, lime, putty powder, plastic, paint, water-based coating, papermaking, glass, daily necessities and foodstuff. Different industries have different requirements for calcite application fineness. 200 mesh calcite powder is for Cement, construction industry. 325 mesh calcite powder is for putty powder, heavy calcium powder. Like plastics, paints and water-based paint industries, the requirements of calcite powder are generally 400-800 mesh, 800-1000 mesh. For the plastics industry 800 mesh calcite powder processing, Liming Heavy Industry can provide professional ultrafine ore powder grinding equipment-LUM Superfine Vertical Roller Grinding Mill. 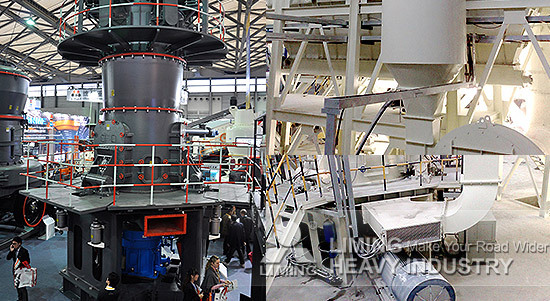 LUM Superfine Vertical Roller Grinding Mill adopted material layer grinding principle. Short staying time of material in the mill, repeated grinding less, less iron content, the finished product whiteness and clarity. Special design of the roller sleeve and plate grinding curve, the grinding mill can produce 0.045-0.02mm (400-1250 mesh) powder, meet the 800 mesh calcite separation requirement of plastic industry. More about 800 mesh calcite powder processing machine, please contact the online customer service.